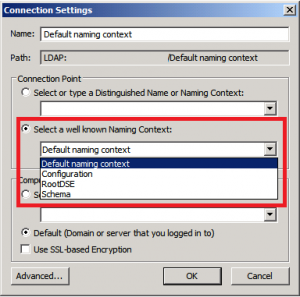 This article describes how Windows client locates a domain controller. On the client, the NetLogon service verifies logon requests, and it registers, authenticates, and locates domain controllers by using the DsGetDcName API call (known as the domain controller locator function). Client does a DNS query to get a list of DC of the current domain in the form: _LDAP._TCP.dc._msdcs.domainname. (all domain controllers register this SRV record). Client receives a list of DC IP addresses from DNS (they are ordered following priority & weight). The client begins querying the DCs in turn to find out which DC is available. 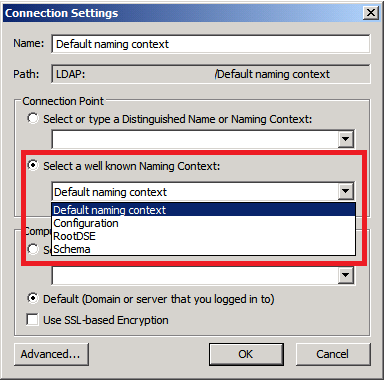 It sends a datagram LDAP UDP search which contains the IP address of the client (IP address ONLY without the subnet). A flag that indicates if the current DC is in the site closest to the client. If the returned DC is in the closest site (the returned bit is set), the client uses that DC. If the client has already tried to find a DC in the site in which the DC claims the client is located, the client uses that DC. If the DC is not in the closest site, the client updates its site information and sends a site specific DNS query (_LDAP._TCP.sitename._sites.domainname) to find a new DC in the site. If the second query is successful, the client uses the new DC. If the second query fails, the client uses the original DC. There is not necessarily a domain controller in every site. If a site contains no DCs, then DCs in the sites closest to that site (calculated by site-link costs) will register site-specific records for that site as well, to help clients find a DC as close as possible. This process known as automatic site coverage ensures that every site has a domain controller, even if a site does not contain a domain controller for that domain. By default, each domain controller checks all sites in the forest and then checks the replication cost matrix. A domain controller advertises itself (registers a site-related SRV record in DNS) in any site that does not have a domain controller and for which its site has the lowest-cost connections. Sometimes the client pings a domain controller and the client IP address cannot be found in the subnet-to-site mapping table. In this case, the domain controller returns a NULL site name, and the client uses the returned domain controller. This article describes how to find the servers that hold the Flexible Single Master Operation (FSMO) roles in a forest. This query returns the infrastructure master role owner for the DC=concorp,DC=contoso,DC=com partition to the Infrafsmo.ldf file. Schema master: responsible for performing updates to the directory schema (that is, the schema naming context or LDAP://cn=schema,cn=configuration,dc=<domain>). 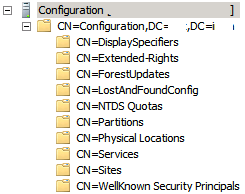 Domain naming master: responsible for making changes to the forest-wide domain name space of the directory (that is, the Partitions\Configuration naming context or LDAP://CN=Partitions, CN=Configuration, DC=<domain>). RID master: each DC is assigned a pool of RIDs from the global RID pool by the domain controller that holds the RID master role. The RID master (also known as the RID pool manager, RID manager, or RID operations master) is responsible for issuing a unique RID pool to each domain controller in its domain. Each security principals (Users, computers, and groups) is assigned a unique alphanumeric string called a SID. The SID includes a domain prefix identifier that uniquely identifies the domain and a relative identifier (RID) that uniquely identifies the security principal within the domain. PDC emulator: it is also responsible for time synchronizing within a domain. It is also the password master for a domain. Any password change is replicated to the PDC emulator as soon as is practical. Infrastructure master: When an object in one domain is referenced by another object in another domain, it represents the reference by the GUID, the SID (for references to security principals), and the DN of the object being referenced. The infrastructure FSMO role holder is the DC responsible for updating an object’s SID and distinguished name in a cross-domain object reference. There is one Infrastructure FSMO role per domain and application NC in a directory. In GPO terms, domains, OUs, and sites are called Scopes of Management (SOMs). SOM container object, such as OU has an attribute called gPLink that lists all of the GPOs applied to the object. 1: The GPO Link MUST be ignored. 2: The GPO Link is an enforced GPO. The System.DirectoryServices.ActiveDirectory namespace provides a high level abstraction object model for forest, domain, site, subnet, partition, and schema. It is used to automate Active Directory management tasks. It is not used to access data that resides within Active Directory or any other directory service. The System.DirectoryServices namespace should be used for this purpose. 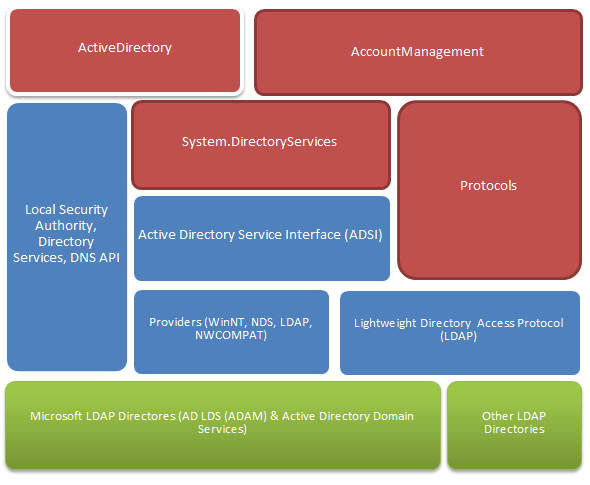 System.DirectoryServices.Protocolsintroduced in .NET Framework 2.0, provides raw access to underlying LDAP-based directories, such as Active Directory and Active Directory Lightweight Directory Services (AD LDS). This skips ADSI, so you get better performance, but it’s a lot harder to use. System.DirectoryServices.AccountManagement: it is built on System.DirectoryServices and was introduced with .NET 3.5. This namespace is only for Active Directory or AD LDS. It works against User, Group, and Computer objects and they are strongly typed objects.